Born on the Lunar New Year, February 2, 1946, at 1:00am, Tae Yun Kim began her life in this world, not with the usual joys surrounding the birth of a child, but was labeled as a “curse” and “bad luck” because she was a girl. Throughout her childhood, Tae Yun Kim faced the trauma of being the first-born girl in a society where girls are not valued and first-born children are meant to be sons. She suffered at the hands of her parents who felt ashamed and dishonored because their first child was a girl. During the Korean War, her family abandoned five-year-old Tae Yun Kim as they fled for safe ground. A little girl saw young Tae Yun Kim and encouraged her to run from the chaos, but a bomb exploded and scattered her new friend’s body in every direction. As a young 5-year-old girl, Tae Yun Kim decided that she would not run any more. Two years later, in the morning mist, she caught sight of her uncles training in the martial art of TaeKwonDo. She was fascinated and knew that this is what she wanted to do. She begged her uncles to teach her but they laughed at her. Girls were meant to cook and sew and produce twelve sons, not train in the martial arts. But she was persistent and didn’t give up. Finally, one uncle agreed thinking that she wouldn’t be able to keep up with the hard training and all the bruises that were a natural part of the martial arts. To his surprise, she continued and excelled. When a well-known Master visited her village, young Tae Yun Kim’s grandfather hoped the Master would convince her to stop fooling around and to go back to the kitchen where all girls belonged. The Master looked into her eyes and saw something special, an inner fire. Then, he broke five thousand years of tradition and accepted this young girl as his student. 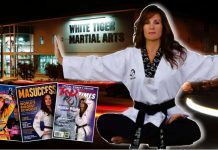 Though her parents increased their physical abuse in the effort of stopping her, Tae Yun Kim did not waver from her dream and she trained hard to become the first female Black Belt in Korea, then the first female Master, then the first female Grandmaster in the martial arts. Achieving these levels of mastery is challenging enough; achieving them as a young girl in a male-dominated society is nearly impossible. But that is Grandmaster Tae Yun Kim’s specialty. Achieving the impossible. Speaking very little English, Tae Yun Kim immigrated to the United States when she was in her early 20’s, thinking that this “land of opportunity” would open many new doors for her. She soon discovered some of the same fears and prejudices against women in the United States as she had experienced in Korea. In order to earn a living and to learn the American culture and language, Tae Yun Kim pumped gas, was a janitor at a Howard Johnson’s and even became a car salesman. In 1982, Tae Yun Kim had a vision that computers would someday become important in our lives. She started a computer company from her garage in a town where no one even knew what a computer was. 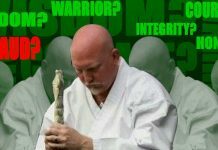 Grandmaster Tae Yun Kim tours the world and gives lectures and seminars to thousands of people in order to motivate and inspire them to make changes in their lives in order to live full lives. 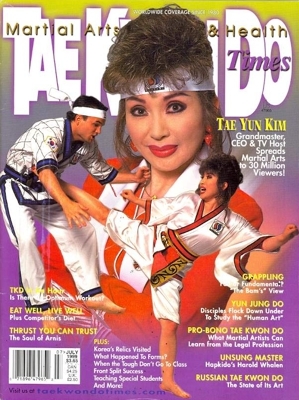 Grandmaster Tae Yun Kim has come full circle in her life. Once rejected by her family and society in Korea and becoming an outcast, today she is respected and honored for her determination and “never give up” attitude. Because she has motivated and inspired the Korean people to take charge of their lives during these times of economic and emotional crisis, the President and First Lady of Korea have named Tae Yun Kim as the “Hope of the Country”. Many people – politicians, businessmen and CEOs – have even asked Grandmaster Kim to become the first female President of Korea in 2006! Her life is a unique story. Inspirational for people of all ages and from all walks of life, Tae Yun Kim lives her motto: He Can Do, She Can Do, Why Not Me! 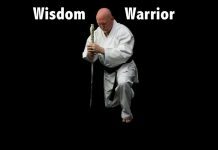 Today Dr. Tae Yun Kim is one of the highest ranking martial artists in the world. Dr. Tae Yun Kim founded the art of Jung SuWon – which means “the way of uniting body, mind and spirit in total harmony”. 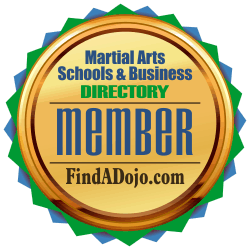 For more information about Tae Yun Kim and Jung SuWon Martial Arts Academy visit her website at https://www.jsw.com/ and the Jung SuWon Martial Arts Academy school listing on the Martial Arts Schools and Businesses Directory by clicking on the image on the left.